We present you the slow floating single hook tuned Aomasa 188SF. It is a diving pencil type lure able to conduct a side to side slalom type swimming action, known to be productive for large bluerunners. We have especially released this single hook version for increased hook strength, reduction in drag during its casting and its outstanding ability to reduce hook-offs during the fight. (1) A straight eye from the hook for easier use with plugs. (2) A welded eye + flat sided for extra strength. (3) Astonishing rust repelling abilities with the unique “Ultra-anti-rusting processing”. 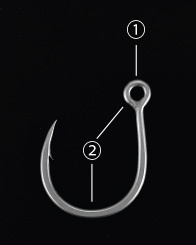 The straight eye from the hook is most suited for plugs allowing for greater balance and the thinly shaved hook eye reduces the damage when attaching split-rings. In addition, the hook-eye is also welded on for greater strength. 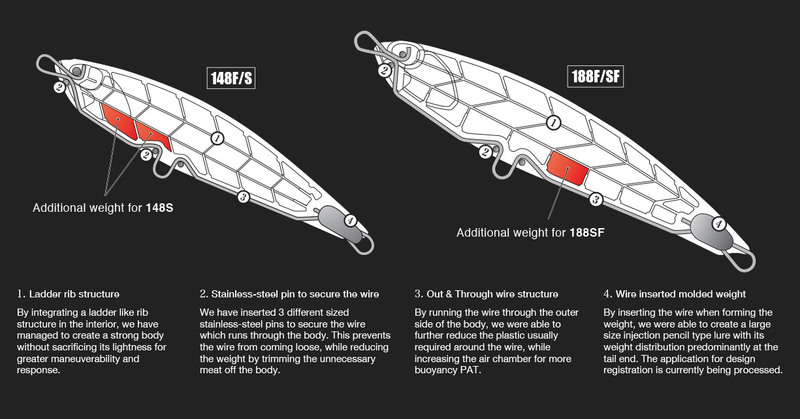 The main shaft of the hook is flattened for increased strength while helping the point to penetrate easier. 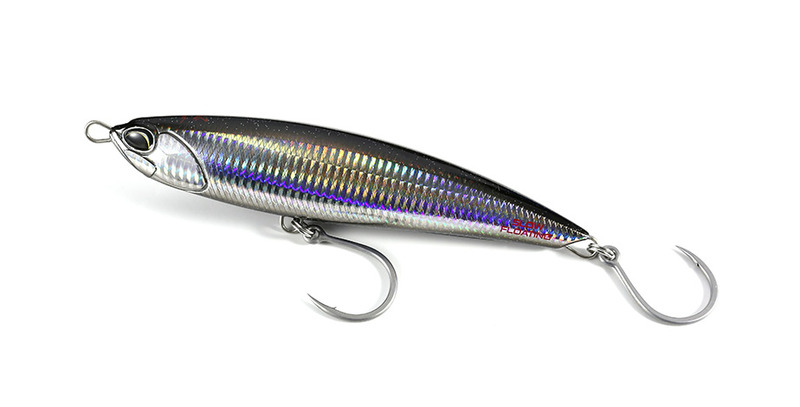 The “Ultra-anti-rusting processing” will help anglers maintain their gear and hooks in mint condition.